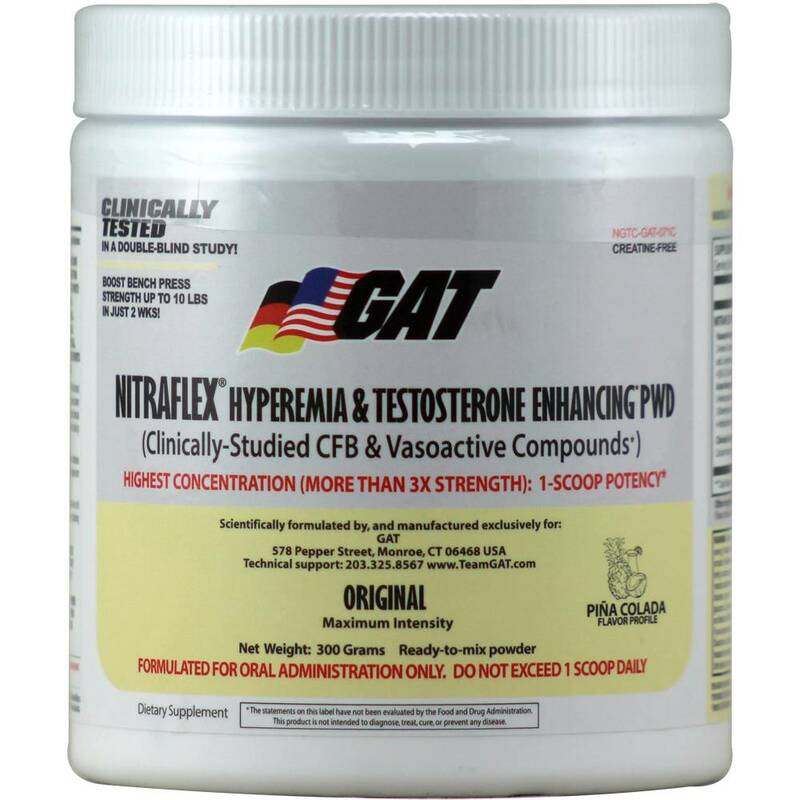 GAT: Nitraflex Pina Colada - Athletes Nutrition Inc.
All subjects increased their bench press maximum strength by a surprising 5-10 pounds! Muscular endurance increase by an average of 17.4%! Endurance work output increased by an average of 21.6%! 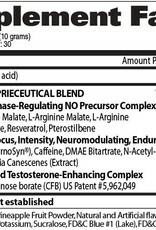 Testosterone levels increased by an average of 13.4%! 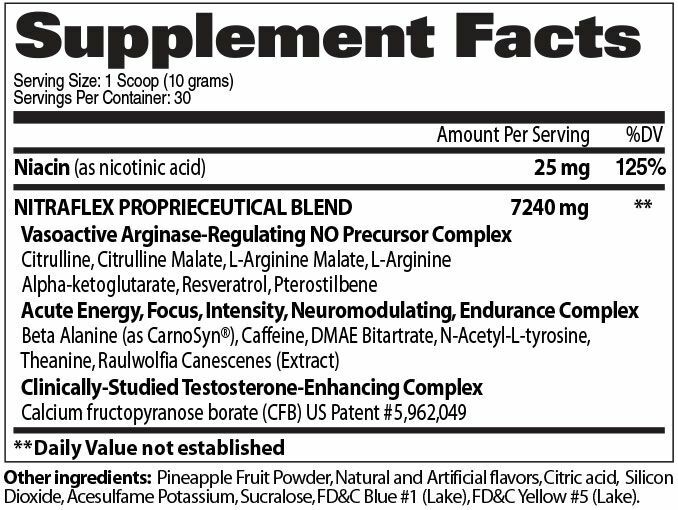 In other words, after taking NITRAFLEX® for 2 weeks, these experienced athletes were able to lift more weight,perform more reps, achieve greater training volumes, and am up their testosterone. As you know, all of these things are considered critical to gain muscle as fast as possible! 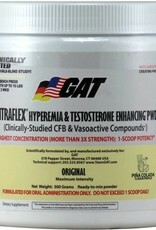 Imagine what can happen to YOUR physique and performance when you take NITRAFLEX®!